Dell targets a pretty wide market field with their new business-orientated Vostro 3560.
n the mobile computer market nowadays you can find all kinds of hardware configurations, depending on what you need the machine for. I am sure this video review will be helpful to the people who are looking for a machine to meet their business computer needs. The design of this machine combines the elegant chassis made of anodized aluminum and polycarbonate with the 15.6’’ LED matte display in HD resolution. It is bright and brings to you an excellent contrast ratio of 605:1. The anti-glare technology prevents from the annoying light reflections on the screen during exploitation. The performance depends completely on the hardware so let’s take a look inside the case of Dell Vostro 3560. The model runs on the 3rd generation IntelCore processors i3, i5 and i7. Our test sample had a dual core IntelCore i5 at 2.5GHz but with TurboBoost 2.0 its performance can be boosted up to the working frequency of 3.10GHz. The operating memory is 6GB Dual Channel DDR3 SDRAM at 1600Mhz. 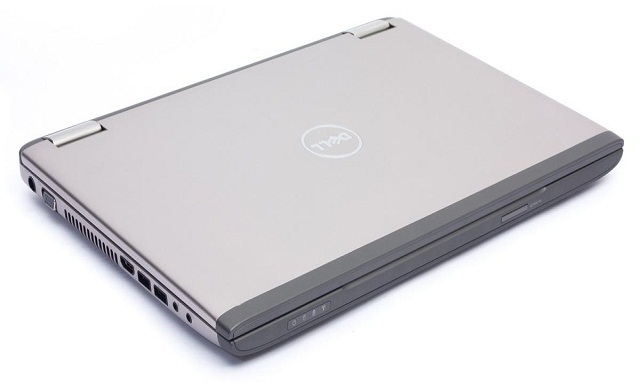 The graphic performance on this Dell model is provided by AMD Radeon HD 7670M with 1GB memory. The video quality is really good having in mind that the laptop is meant to be a business buddy. The hard drive storage of the test model you are looking at is 500GB brought to you by Hitachi at 7200 rpm. To store all the necessary business information you can equip your model with up to 1TB HDD. This machine can really bring style and elegance in your office as it is available in three beautiful colors: silver, red and brown. On the top right corner of the case there are three control keys that provide direct access to basic adjustments. A business-orientated machine has to provide comfortable features so that it can make the work process pleasant. This laptop features an extremely comfortable backlit keyboard. It is of island-style type and is not only easy to clean, but easy to use too. The keys feature elegantly curved edges and have a short stroke. The touchpad is a standard one and is centrally positioned below the keyboard, the two auxiliary buttons are independently placed. To secure your business information on this laptop you have a fingerprint reader on the right hand-side that not only locks your machine but protects the important applications and emails from unwanted access. The Dell Vostro 3560 provides all kinds of connection ports and technologies so that you can transfer data in the most comfortable to you way. You have 4 USB v 3.0 ports placed on both sides. Also Express Card, DVD drive, VGA, an HDMI port and an 8-in-1 card reader. Among the other connection features come the Bluetooth v 4.0 and even 3G. The battery is a key element when it comes to the reliability of such a business machine. The 6 cell battery provides around 3 hours of worktime on maximum brightness and surfing on Wi-Fi. Running on minimum brightness at minimum software loading the battery drains in 5 hours. The platform on our test sample is a Linux Ubunto but you can chose whatever operating system you wish. The total weight of the Dell Vostro 3560 laptop is 5.75lbs.